It's Freeday at 7 Eleven today! 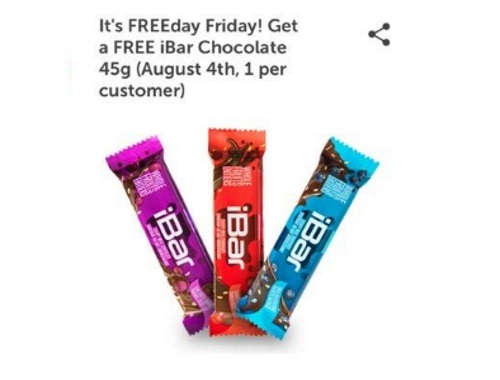 Get a Free iBar Chocolate 45g when you show the coupon on your 7 Eleven 7Rewards app! Offer is valid Friday, August 4 only, 1 per customer. Limited quantities available. Text APP to 711247 to download the app if you don't have it yet.